www.searchingforreason.net : FEATURE ARTICLES. 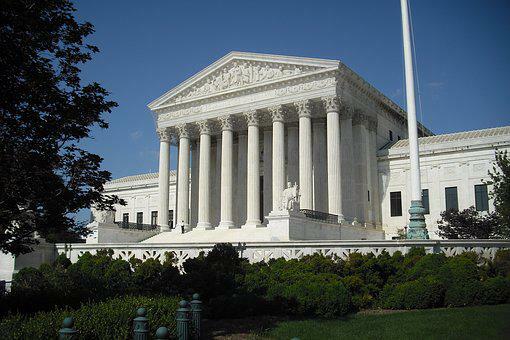 LOOKING AT THE U.S. SUPREME COURT: APPOINTING A NEW MEMBER, WHAT DOES THE CONSTITUTION SAY? PT 3. FEATURE ARTICLES. LOOKING AT THE U.S. SUPREME COURT: APPOINTING A NEW MEMBER, WHAT DOES THE CONSTITUTION SAY? PT 3. "...and he shall nominate, and by and with the Advice and Consent of the Senate,shall appoint Ambassadors, other public Ministers and Consuls, Judges of the Supreme Court, and all other Officers of the United States, whose Appointments are not herein otherwise provided for, and which shall be established by Law..."
This is the part of the U.S. CONSTITUTION THAT DIRECTLY AFFECTS HOW FUTURE APPOINTEES FOR CERTAIN GOVERNMENT POSITIONS ARE TO BE NOMINATED, AND APPROVED OR DISAPPROVED, FOR SAID POSITIONS. There is no NEED FOR CONTROVERSY. THIS IS A DIRECT AND UNCOMPLICATED GUIDELINE, EXPLAINING HOW THE PROCESS IS TO WORK. To Turn this into A POLITICAL DISCUSSION ABOUT WHICH TYPE OF INDIVIDUAL, WITH SPECIFIC BELIEFS, OPINIONS, AND A CERTAIN BACKGROUND SHOULD BE NOMINATED AND APPOINTED, MISSES THE POINT COMPLETELY. The Who and Why don't Matter. The President of United States has the POWER, OR RESPONSIBILITY TO SELECT A NOMINEE, And No One Else, because it is a FUNCTION OF THE EXECUTIVE BRANCH OF THE GOVERNMENT. Once this Done, the PROCESS MOVES ON TO THE SECOND STEP. THIS STEP, "...Advice and Consent of the Senate,...."
Is Very Specific, and REFERS TO THE "SENATE" NOT AS A SINGLE INDIVIDUAL, OR A SELECT GROUP OF INDIVIDUALS, BUT AS A "BODY." THIS MEANS NO ONE SENATOR, OR SENATORS, HAS THE POWER TO DISREGARD WHAT ARE CLEARLY WRITTEN INSTRUCTIONS, WHICH OBLIGATE THE SENATE TO ACT AS ONE FOR "...ADVICE AND CONSENT..."
FOR ANY SENATOR(S) TO SAY THAT THEY HAVE THE RIGHT OR POWER, TO PREVENT THE "BODY OF THE SENATE" FROM FULFILLING ITS CONSTITUTIONAL RESPONSIBILITY BY SAYING "WE JUST WON'T MEET TO CONSIDER THE NOMINATION", IS GIVING THEMSELVES A POWER THAT IS NON-EXISTENT, AND IS CLEARLY UNCONSTITUTIONAL.